Disclaimer *** I was invited to attend the RBC Canadian Open with Ronald McDonald House Charities of Canada. I was unable to attend but I felt strongly enough about the charity to post about the RMHC regardless. Before having children I had no idea what Ronald McDonald House Charities Canada did for families. It was actually when I was pregnant with my oldest daughter that I found of about RMHC. I was overdue with by six days, my parents had made the trek up to Ottawa to help me during the last few days of pregnancy and first few days of motherhood. We laughed, cried and waited patiently for this little bundle of joy to arrive. Finally, KT arrived 11 days late and full of life, unfortunately she was struggling to breath at the time and they whisked my baby away to the NIC unit right after I delivered her. I had no idea what to do next, without her in my arms. I cried as I was still unable to move to go to her but thankfully my Husband, Mom & Dad went down to be with KT while I recovered. She was a big healthy baby who was bounced back quickly. Being in the NIC unit with her however, I saw many different situations that parents and their newborns were experiencing. I observed situations in that NIC that I to this day I cannot even talk about without being brought to tears. I spoke to several of the other parents in the unit at that time and one family was being transferred to CHEO the next day. The mother cried as she explained how hard it would be with two other little ones to care for in a hotel as well as the cost. One of the nurses told her about the Ronald McDonald House in Ottawa and the good work they did for families in need. The next day we brought our healthy little girl home, it was also the day we decided to donate each year to Ronald McDonald House for those families that were not as lucky as ours. That was 10 years ago and I often still wonder what happened to that family, especially the little one KT shared the NIC unit with. Today Ronald McDonald Houses continues to provide a home away from home for the families of seriously ill children while their child is being treated at a nearby hospital. 1. 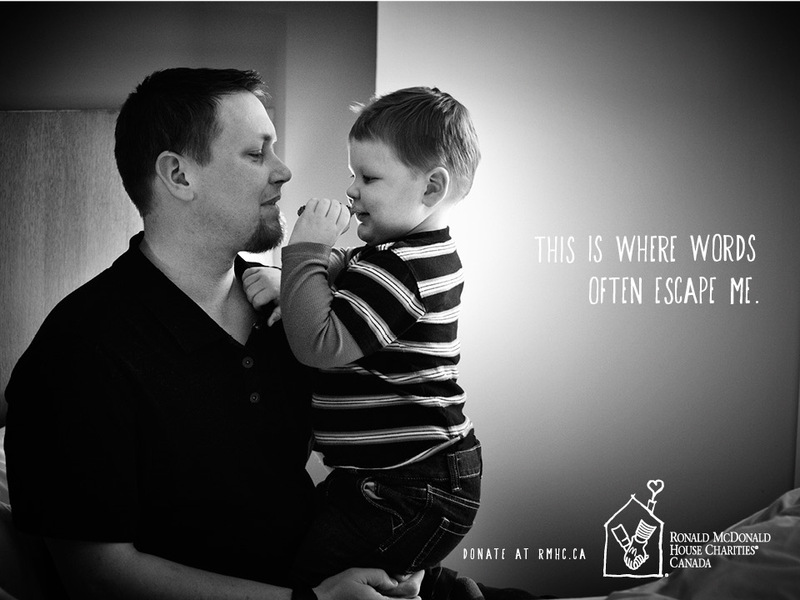 Today, Canada is home to 14 Ronald McDonald Houses, 9 Ronald McDonald Family Rooms and 1 Ronald McDonald Care Mobile. 2. Ronald McDonald Houses provide a home for families of seriously ill children while their child is being treated at a nearby hospital. 3. Ronald McDonald Family Rooms create a calm, nurturing space within the walls of the hospital, allowing parents to be just steps away from their sick child’s bedside. 4. Ronald McDonald Care Mobile is a mobile health unit that enables free and easily accessible medical care for children and their families right in their own community. By 2014, Ronald McDonald Houses will serve 20,000 families a year. Since our first House opened in Toronto in 1981, we have served over 227,000 families of sick children. Friends of ours spent time at Ronald McDonald house in Ottawa during their son’s illness and continue to fund raise each year since his passing. I have also had had several students spend time at the RMHC during their battles with diseases. The one comment that is made over and over is how accommodating the volunteers in the house are to the families staying with in the house built with love. 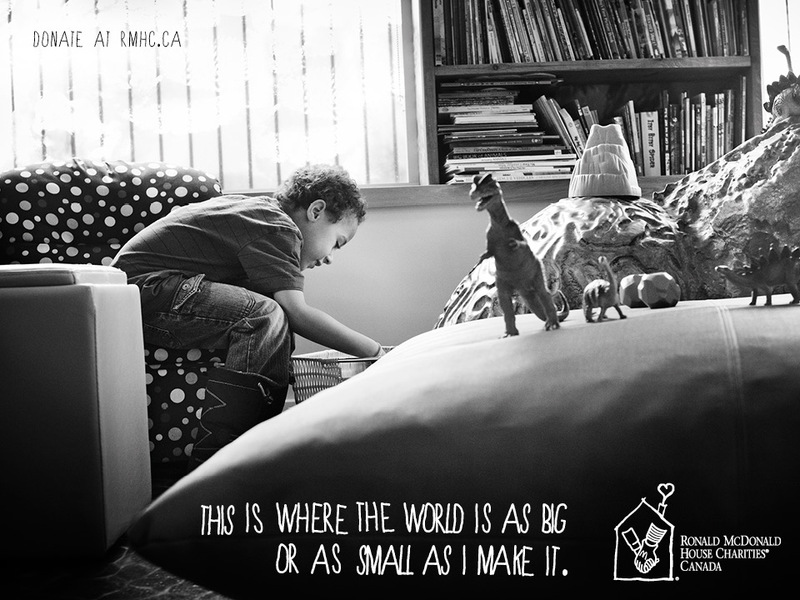 By creating Ronald McDonald House Charities Canada in 1982, McDonald’s ensured that the House in Toronto, along with all future Houses, would have an everlasting foundation of support. 1. 10 cents from the sale of every Happy Meal is donated to Ronald McDonald House Charities Canada, which creates a sustainable revenue source for Ronald McDonald Houses and their programs. 2. McDonald’s restaurants across the country host McHappy Day, which is an annual day of giving to support local children’s charities, including Ronald McDonald Houses.Restaurants also collect public donations through coin boxes supporting their local community and Ronald McDonald Houses. 3. Every year, Owner/Operators, executives and employees of McDonald’s Canada volunteer thousands of hours and champion Ronald McDonald Houses across the country. 4. Many McDonald’s suppliers support Ronald McDonald Houses as contributors, volunteers and national donors. McDonald’s is proud of the incredible impact and support the Ronald McDonald Houses have on healthcare and healing in this country. And they remain committed to the founding vision of Ronald McDonald Houses as a “community house,” where McDonald’s, along with individual donors, corporate donors and community groups all work together to ensure families with seriously ill children have a place to stay and the support they need. My next step is to put my money where my mouth is, I have decided that I would like to volunteer at Ronald McDonald House in Ottawa and help the families of sick children during their stay. In addition I would like my children to volunteer as well, or at least fund raise for this worthwhile charity. You can follow Ronald McDonald House Charities on several social media channels including: @RMHC & @RMHToronto and the hashtag #RBCCO. ← My Secret: It has been a decade since my last dentist appointment….